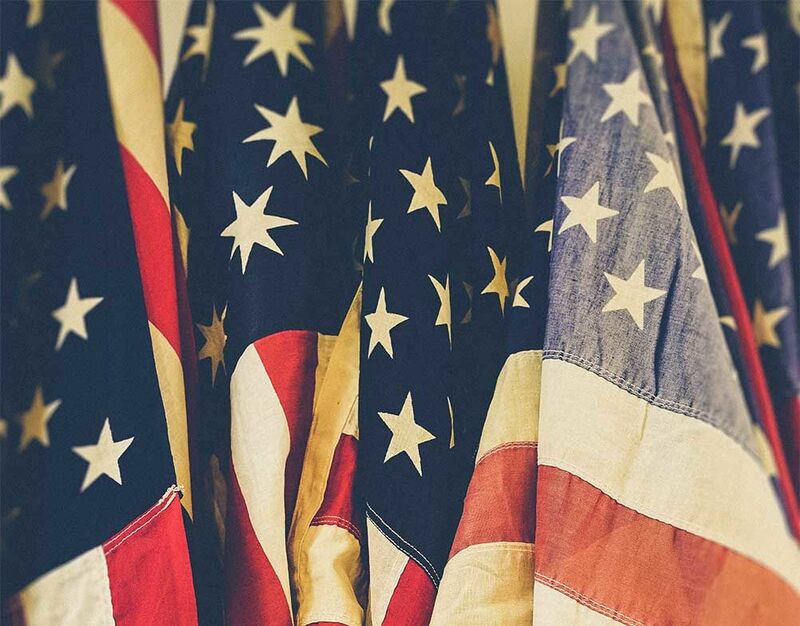 In the midst of all the BBQ’s, beach trips, mini vacations, etc., it can be easy to forget that Memorial Day is more than the unofficial start of Summer. Memorial Day is a federal holiday in the United States for honoring and remembering the people who have died while serving in the U.S. Military. 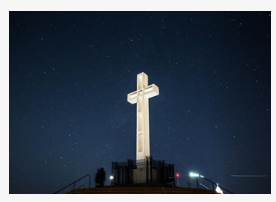 But how and when exactly did the day of remembrance originate? We’ve rounded up some Memorial Day facts for this day that is so near and dear to our hearts. Many Americans in the late 1860’s had begun hosting tributes to the war's fallen soldiers by decorating their graves and with flowers and flags. It gradually came to be known as Memorial Day over the years. Union General John A. Logan called for an official nationwide day of remembrance on May 30, 1868, a date chosen because it wasn't the anniversary of a particular battle. 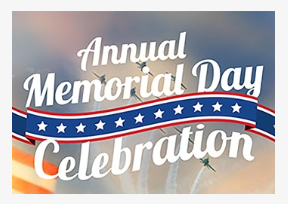 100 years later, in 1968, Congress passed the Uniform Monday Holiday Act, which established Memorial Day as the last Monday in May and become an official federal holiday in 1971. Memorial Day is a day of remembering the men and women who died while serving, whereas Veterans Day celebrates the service of all U.S. military veterans. 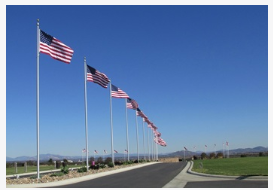 Many volunteers place an American flag on each grave in National Cemeteries. In addition, the President requests that all governors of the United States and the Commonwealth of Puerto Rico direct the flag to be flown at half-staff until noon on Memorial Day on all buildings, grounds, and naval vessels. The National Moment of Remembrance Act was signed in 2000, which asks Americans to pause and observe a National Moment of Remembrance Act 3:00 p.m. local time. 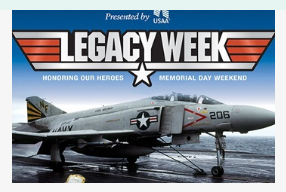 What will you be doing this weekend to commemorate? Many people visit cemeteries and memorials. 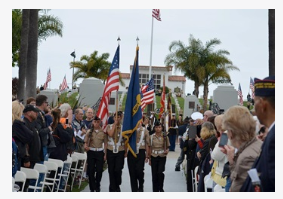 There are so many things to do in San Diego to honor our fallen, see a few highlights below. This special weekend, take a moment to pause and reflect on the sacrifices of the more than one million Soldiers, Sailors, Airman, Marines, and Coast Guardsmen who have made the ultimate sacrifice to secure our freedom. The Tim Kirk Team had an excellent year in 2017 selling residential real estate throughout Southern California and San Diego. Tim Kirk received a Silver Award of Excellence from SDAR for producing high sales volume of $3 million dollars in San Diego. Meet Tim Kirk, the Tim Kirk Team's lead Realtor®. How and why he got into the real estate business and why he chose Pacific Sotheby's as his brokerage. Learn how the Tim Kirk Team strives to provide you with the best service in the real estate industry. The Tim Kirk Team's 1st Annual Christmas Party was a blast, we celebrated the holidays, the end of a great year, and our fantastic clients. Carlsbad estate with views of ocean, lagoon, and golf course located in the Aviara estates sold off market by Realtors® Tim Kirk and Mike Stine. Tips to prepare your home and family for a potential fire threat. Fire evacuation checklist you can prepare ahead of time. It's always a good idea to list your home for sale with a professional real estate agent with experience. Call the Tim Kirk Team Realtors® to discuss selling your house in San Diego, CA. Home renovations that will increase your return on investment profits at the sale of the house. Tim Kirk is a Sr. Project Manager for the Gary Sinise Foundation's R.I.S.E. program, which is donating a smart technology, custom home to a wounded warrior in San Diego, California. Buying a home is a good investment. While rent prices rise, your mortgage stays the same. You are building equity in your home, which can be a financial resource later. You can build wealth without paying capital gains. A mortgage can act as a forced savings account. It is a smart financial investment to own a home. Homeowners can enjoy greater wealth growth than renters. Tips to writing an effective offer on a home. Get your dream home with a competitive offer. What do all those real estate terms mean? Most commonly used terms in real estate defined for the average person buying or selling a home.